Basement layout and design ideas and tips - basement layout design ideas. Does your home feel like it’s bursting at the seams with children and their stuff and you’ve no-where for either of them to go? Are you looking to create a man cave or craft retreat? We’ve got you covered. We hope will help guide you to better utilize this valuable additional space in your home that may have been overlooked – your basement. The typical basement can make up to half of the total square footage of the home, yet many of us have dark, dingy basements that are unfinished, halfway finished or badly out of date. Any way you cut it, most of us don’t enjoy spending time in poorly lit, cold, and uncomfortable basements, and would rather have a welcoming space for our children, our hobbies, or to watch the newest blockbuster movie. The truth is, a carefully planned basement can be just as nice, or nicer, than the main level of a home. This information will share with you the specialized know-how used by basement finishing experts, developed from decades of finishing and remodeling basements. Finishing or remodeling your basement doesn’t have to be a headache! There’s usually no need for expensive structural modifications to your home because the space to create your dream basement is just below you. Connections to your home’s electrical, water, and sewer are typically close at hand in the basement. Most basements experience less temperature fluctuations. With minimal heating and cooling needs, you can often utilize your current heating and cooling system without the need to buy higher capacity units. So, you’re ready to make the plunge and start planning for your dream basement space. In this part of the series, our goal is help you envision and plan for your basement remodel. The first obvious step is to decide how you will use your new space. Are you looking for a craft space, or a home theater? Will there be a bedroom, bathroom, family room or a wet bar added to the basement? Grab a pen and paper and make a list of all of the rooms you’ll want after the remodel. If you’re going the route of additional bedrooms and bathrooms, make note of any existing plumbing and windows for egress and to let in outside light. 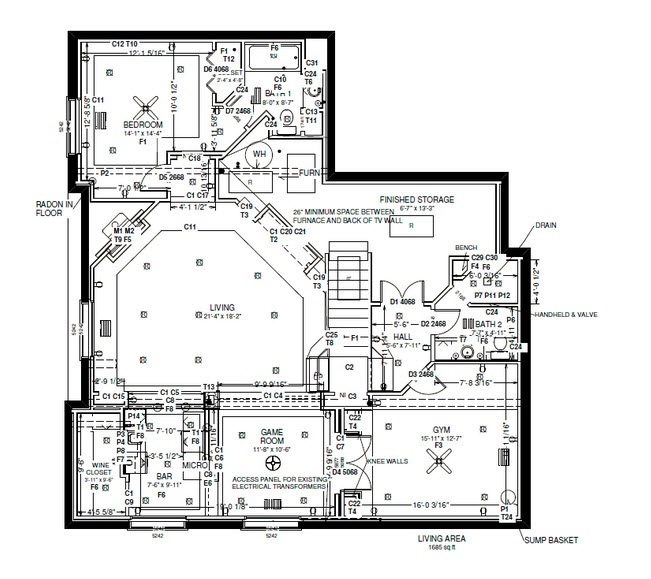 Take measurements of the entire basement space and sketch out the current layout on a sheet of paper. Include all existing doors and windows, as well as any obstructions (support posts, plumbing stacks, and duct work). We find that using masking tape to mark where you will want walls, built-ins and large furniture helps you conceptualize the space. For example, if you’re planning an additional bedroom, lay down a strip of tape to show where the walls will go. Then, measure common furniture like beds, dressers, and night stands and add tape to the proposed location to see if you have a suitable amount of space. The phrase, “Planning is everything”, was never more true than when it comes to planning improvements to your home. There is a lot more to a professional looking basement than just boxing in rooms, ducts and beams. Professional basement planners use strategically designed soffits to hide beams and make heating trunk lines disappear. Specialty features like half walls and columns enclose posts. Entrances to bedrooms should be placed away from the common area, and bathroom doors placed in private locations. Design features like a short hallway or where the doors are located, can make or break the appeal of your basement. After you have a design that you are comfortable with, sit down and determine how much of the work you will want or be able to do on your own. Do you have the skills and tools necessary to do all the tasks your design requires? Be mindful that finishing a basement requires skills with carpentry, wiring, plumbing, drywall, tile, flooring and painting. Even if you have the required skills, do you have the time and energy to complete the project? You don’t need to do the physical work yourself to save money on your basement project. You can eliminate the expense of general contractor mark-up by managing the project yourself. Some homeowners know enough about construction to schedule and supervise a successful project themselves. Others should seek the assistance of a remodeling expert to help them plan and implement a successful project. Avoid the temptation to believe that any construction guy can do your work. Go with a pro who specializes in what you need done. Unfortunately, the better contractors charge more. You may not think you can afford them, but try to remember that if you select one of the cheaper contractors, you may later wish you hadn’t. 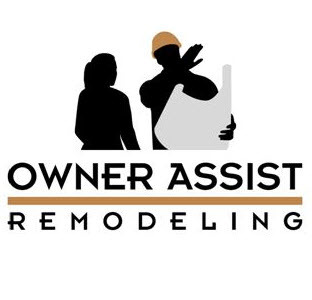 A company like Owner Assist Remodeling offers a unique mix of professional input, your involvement and proven trade contractors to keep costs down and allow you to do the work you are comfortable with, while leaving the rest up to professionals. Be sure to make the right choice to help you thoroughly plan and implement your own successful home project.